Intel’s wireless ambitions go beyond smartphones and tablets. It’s set its sights on the guts of the mobile network as well. By embracing a new network design concept called Cloud-RAN, Intel believes it can reshape wireless networks from highly-specialized architectures into more generic computing platforms that run over its off-the-shelf silicon. And in the world’s largest operator, China Mobile(s chl), Intel sees the opportunity to make that vision happen. China Mobile has a massive network of 700,000 GSM and 220,000 3G base stations built into towers throughout China’s vast landscape. 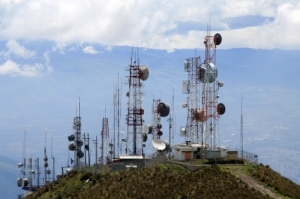 The base station is easily the most expensive element of the wireless network, and as China Mobile looks to the next wave of wireless technology, LTE, it doesn’t want to repeat that enormous infrastructure investment by installing pricey hardware at the bottom of every tower. Instead, it’s looking for Intel’s help to move all of that network intelligence into the cloud, leaving only the radios and antennas at the cell site. Alcatel-Lucent(s alu), Nokia Siemens Networks (s nok)(s si) have developed Cloud-RAN platforms of their own, giving them fancy names like lightRadio and Liquid Radio respectively. Meanwhile, chipmakers Texas Instruments(s txn) and Freescale(s fsl) have both begun retooling their baseband designs for future cloud implementations. But Intel aims to take the concept one step further. Instead of merely relocating base stations to the cloud, Intel proposes using its multi-purpose Xeon processors to perform the same signal processing tasks that are now the purview of highly-specialized equipment. Not surprisingly, the traditional telecom vendors think Schooler and Intel suffer from a case of wishful thinking. Freescale and TI have also tapped into computing architectures for their next generation of chip designs. Freescale uses IBM’s PowerPC, while TI has begun integrating ARM cores into its latest basebands. But TI hasn’t done away with the key proprietary component of its baseband designs: the digital signal processor (DSP). No matter what Intel claims, wireless networks are highly specialized creatures and therefore require highly specialized silicon, said Tom Flanagan, director of technical strategy for TI’s wireless base station infrastructure team. For Intel to replicate the base station with generic Xeon processors would require it to build many of its functions into software, and doing baseband processing through software is a highly inefficient way to run a network, Flanagan said. To build a wireless network business, Intel doesn’t just need to battle the established telecom vendors, it has to make the case for Cloud-RAN to the wireless carriers. Last year at CTIA, Verizon(s vz) CTO Tony Melone was dismissive of the new cloud architectures emerging at the show, saying that they were neat design concepts, but hardly ready for prime time. Verizon Wireless is the world’s most aggressive carrier when it comes to LTE and implementing new network technologies, so Melone’s lack of endorsement is telling. I’ll give Intel one thing. It’s tenacious. With every wireless initiative failure – note WiMAX – it immediately launches another. And where it can’t develop a wireless technology on its own, it buys a company that can. Cloud-RAN could be a key turning point for Intel or another flop, but we’ll probably have to wait several years to find out. While China Mobile is trialing LTE now, its commercial rollout could be as far away as 2014. How is NSN doing with it’s LTE deployment? Is NSN planning to implement liquid Radio in its current LTE implementation? I think that this is really exciting technology and something I look forward to following. I may even have toshare my thoughts on this late next week after I have read more about it. It’s still a pretty virgin technology so there are not too many stories out there about it, but if you want to go to sources you can check out NSN and Alcatel-Lucent’s white papers (with a skeptical eye). Intel and China Mobile have a bunch a resources on their site as well though they’re a bit disorganized and a lot seem to be marketing materials. this is really quantum leap, while most of us are still using 1-5Mbps access, this C-RAN is asking for 1Gbps minmum, 2ppb freq variation, 2 nano sec delay. do you know how much cost to implement this kind of transport network? for sure internet can not. Oh yeah, makes you wonder if the cost of investing in your fiber backhaul network will be more than the cost of deploying your network the old fashioned way. To be fair, I don’t think Intel and TI are talking about centralizing on in national data centers. It’s more like these will be central offices managing all of the sites in a whole markets, or big clusters of sites in large markets. Hardware commodization is an exciting trend and not just in Telecom. But the jury is still out on Intel out-executing a large number of competitors. They have been the Wile E. Coyote of mobile. Oh Man, Rob, what a great analogy! I am imagining an Intel engineer muttering “Intel Corporation, super genius…” right now. BTW. A belated congratulations on joining GigaOm. Your writing really fits in well here. That’s Rob, I really appreciate it. Being the new guy, it’s good to hear people are reading my stuff.